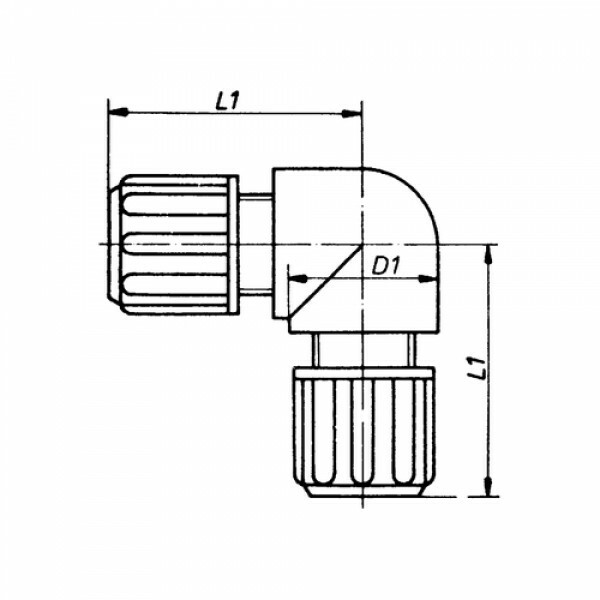 Right angle connector for tubings of rigid plastics or metal. 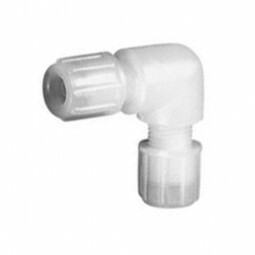 A long sealing cone (ferrule) put at the end of the tubing is solidly screwed into the conical fit of the connector by means of a knurled cap nut. 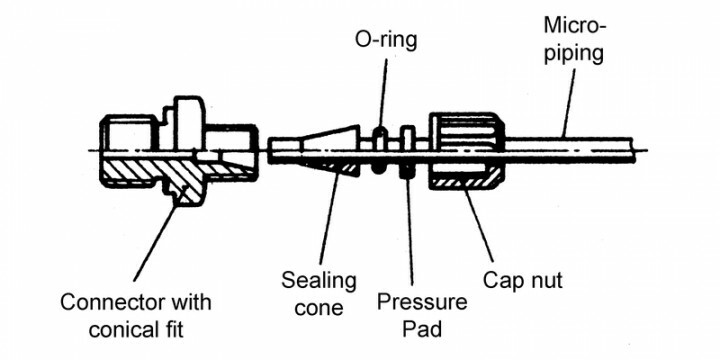 The resistance to withdrawing forces is increased by the contact pressure on the tubing exerted by the cap nut on a FPM-O-ring via a pressure pad. High-quality technical plastic for chemical apparatus and machine building, especially in the petrochemical, metallurgical, pharmaceutical, food processing, paper and textile industry as well as in the nuclear technology. Melt flow index MFR:	6 g/10 min.